Please call (855) 49-SPINE or (855) 497-7463 to learn more about our free MRI review by Dr. Lipton and to learn more about this treatment. What is the non-surgical lumbar decompression procedure? 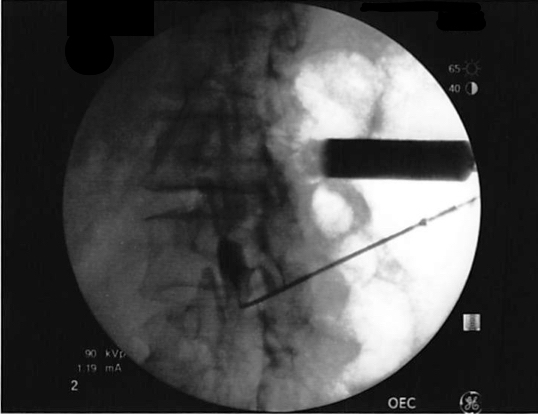 The procedure is a new, minimally invasive technique for treating lumbar spinal stenosis (LSS). By attending to the causes of LSS symptoms, the decompression can provide pain relief as well as improve mobility in patients. This treatment has been FDA-cleared for decompression of the lumbar spine. The procedure is ideal for patients whose LSS is the result of excess ligament. Using imaging technology to guide the procedure, your doctor will insert specialized instruments through the small incision to remove the ligament and bone putting pressure on your spinal canal. It has been proven effective in clinical studies for 79 percent of patients who have undergone this treatment. Schedule an appointment with our office to find out whether you are a good candidate for the procedure. To determine if you are a good candidate for the non-surgical lumbar decompression procedure, please call us toll-free at (855) 497-7463. You will be given options on how to send your most recent lumbar MRI to us for a free MRI review. You will be contacted via phone for any updates.